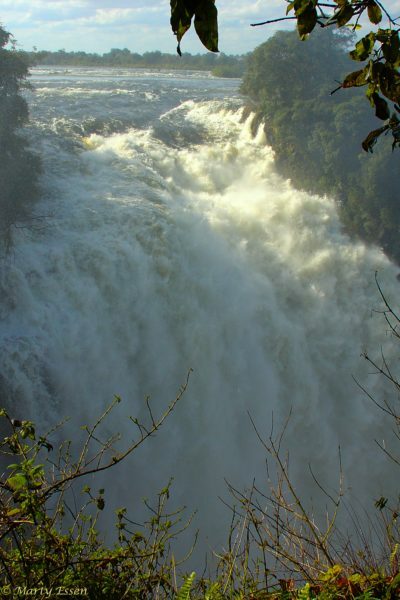 Marty’s photo of the day #2373: This is a small section of Victoria Falls, photographed on the Zimbabwe side. If these falls were in the United States, this photo would have been much more difficult to take, as guard rails would have blocked my view. But Zimbabweans don’t need no stinkin’ guard rails! I have to admit to being just a little tense taking this photo, as the ground was slippery from continually being rained on by the mist coming off the falls.